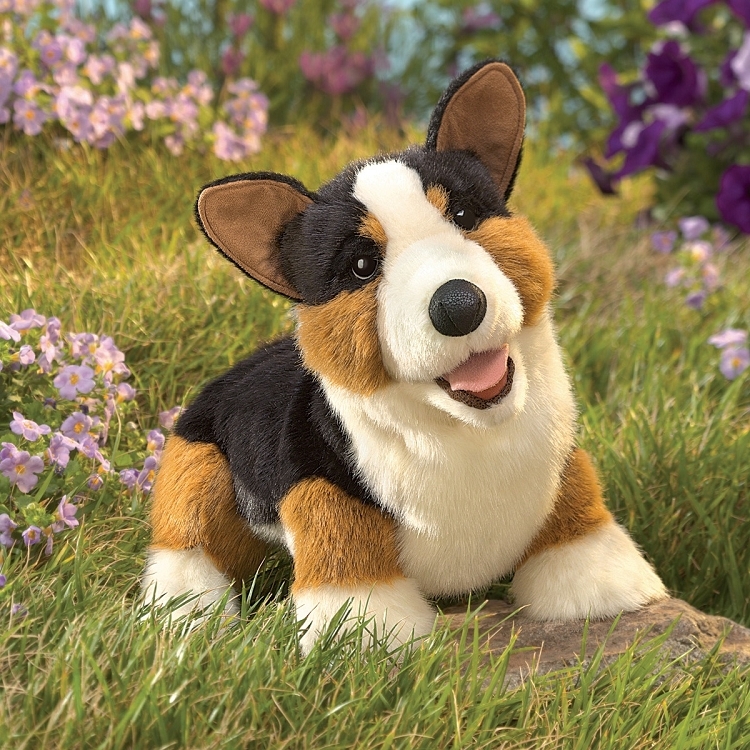 The Folkmanis Corgi hand puppet was released in August 2016. The puppet does stand up as shown and you can put your hand into the body from underneath to move the mouth. 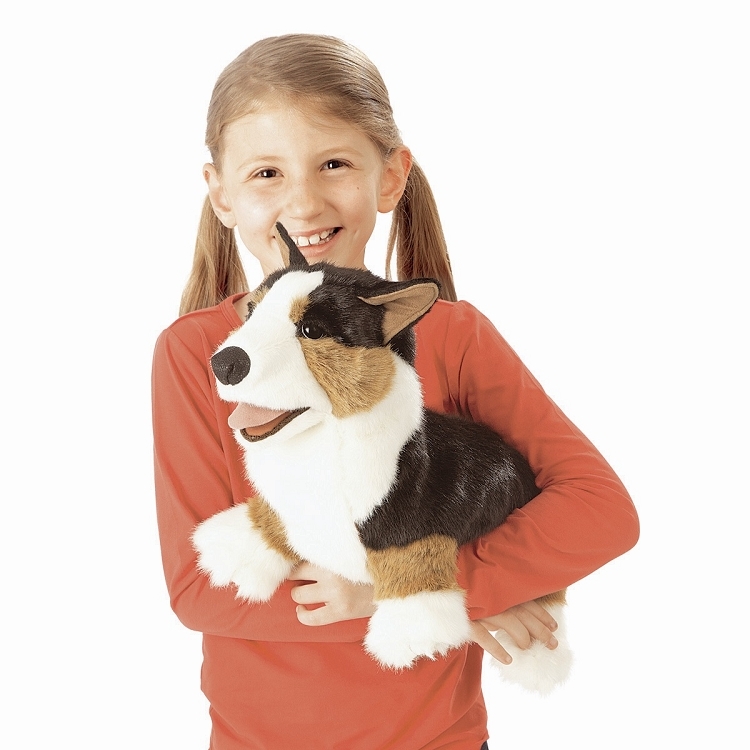 This puppet has black, white, and reddish brown fur. 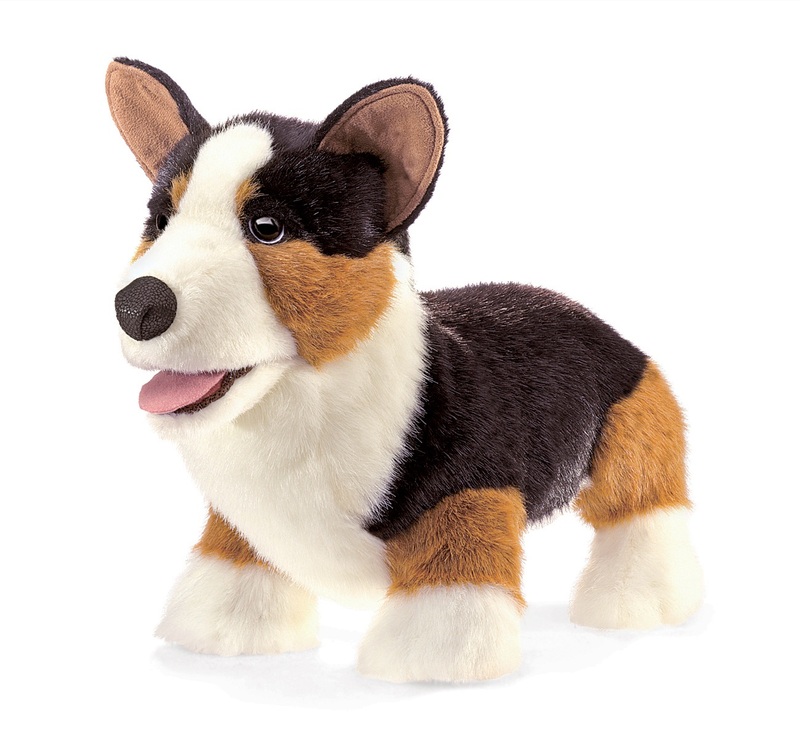 11 inches tall, 16 inches long, and 6 inches wide (27.9 x 40.6 x 15.2 cm).